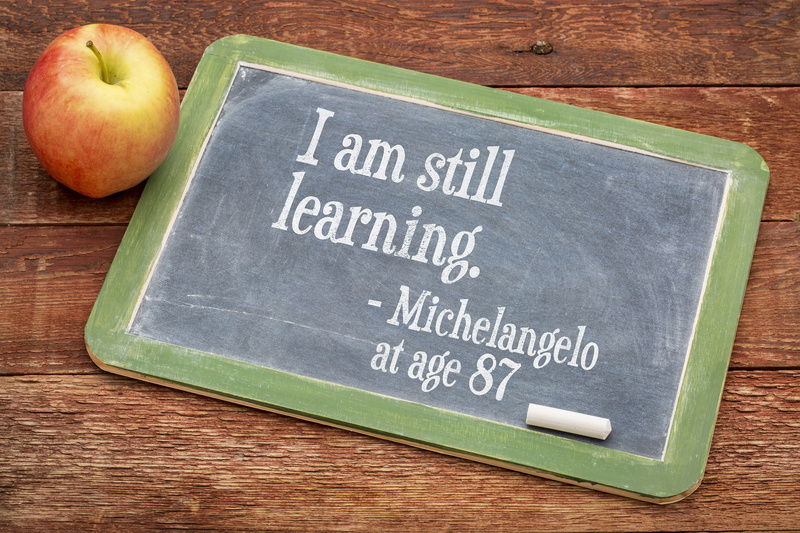 Reflections: what did you learn? By now you’ve probably seen all sorts of “best-of” lists. Best books, best movies, best posts, and on a personal level, perhaps you’ve even created your own list of personal bests. A few years ago, I realized I was more interested in what I had learned that what I’d accomplished, because my ability to learn drove not only what I could accomplish, but also what I could stretch into, what directions I could grow, how resilient I could be in the face of change. About others. Did you have interactions with a boss, coworkers, fellow students, or patrons that changed how you understood their circumstances or viewpoint? If ever there were a year where we all learned that understanding each others’ worldviews were critical, 2016 was the one. About yourself. In any given year, you’re likely to learn all sorts of things about yourself – what you handle well, what could use a bit of work. I usually separate this into “the good stuff” and the “I-could-improve-on-this-stuff” lists. Did you discover an ability to diffuse tense team moments with gentle humor? Did you rise to the challenge of a daunting project, and realize you had more courage than you expected? Or perhaps you froze during a difficult conversation, or discovered during a salary negotiation that you weren’t a very strong advocate for yourself. The important thing to remember about the “I-could-improve-on-this stuff” list is that these are simply things that you can learn to get better at, not things you failed at. About your work. You undoubtedly did a lot of work this past year. Thinking back about your activities, what did you learn about how you work best, what circumstances help you bring your “A game,” how you can be most productive? Did you learn things that opened up new opportunities, either in the immediate future or long-term for your career? Alternatively, you may have discovered that work you thought you’d love turned out to be less than a great fit. No worries – you’ll have a lot of options for making a change when the time is right. But it is important to pay attention to what you’ve learned, so that you can eventually move into a better situation. About your passions. One of the coolest things about working, and all the different types of work you may do over the course of a year, is that it’s always possible to stumble across an undiscovered passion – perhaps for competitive intelligence, or community outreach, or instructional design, or connecting under-served populations with life-changing information, or even data management. When you start your career, it’s easy to feel like you should be able to choose a career path that’s “the one.” But the reality is that you get closer to your best-fit career with every new step you take, and what you learn from each of those steps. About your values. One of the benefits of living in crazy times is that if you stay engaged in what’s going on around you, you find yourself clarifying your values on a pretty regular basis. Let’s just say this past year provided a target-rich environment for deeply examining what you hold dear, why you value what you value, and how you will express and live those values on a daily basis. What did you learn about your values? Is there anything you’d like to change, or explore further? About your impact. Depending on who’s using them and how they’re being used, Information skills can be incredible agents for positive change. In your work this past year, what did you learn about your ability to use your expertise to create positive impact? If you were able to have a positive impact, how did that feel? Is having a positive impact on others’ lives and/or goals an important priority for you? If so, how might you do even more of this type of work in the coming year? About what you still want to learn. I usually end up with about five additional things I want to learn for every one thing I’ve learned in a given year. Yep, I learned how to create (sort of) a WordPress site, but now I want to learn how to use Camtasia, Adobe Photoshop, podcast software, and conferencing software. I learned how to use Twitter, but now I need to learn how to use Snapchat, Facebook, YouTube, and probably five other social media platforms that don’t even have names yet. I learned about storyboarding, but need to learn all the basics of online instructional design. And the list goes on…. What did you learn this year, and what new interests or opportunities might it open up for you? What else do you want to learn to keep expanding your expertise and value and impact? But if you want to take a longer-term view of your career, and what you’re investing in your career, it’s really important to focus on the ongoing pursuit of learning as well. To quote career expert Penelope Trunk, “Find a foot in the door and then start learning everything you can to open that door wider.” Few things open career doors more effectively than ongoing learning. Go for it!